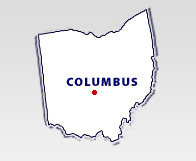 We are located in the charming German Village district, just south of downtown Columbus. Our building - an historic former home - sits on the corner of Livingston Ave and Macon Alley. Centrally located near the intersection of Interstates 70 & 71, FREE on-street parking is always available. Stop and have a cup of coffee, bagel, or pastry at one of the many shops just steps from our office.